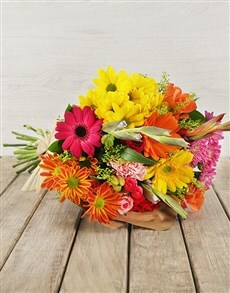 Celebrate Teachers’ Day with a wide arrangement of flowers. As teachers are the guiding light of the nation’s future, NetFlorist aims to be the guiding light to the perfect Teachers’ day flowers, with our top six flower picks for this year’s Teachers’ Day. 1. 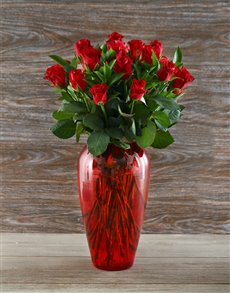 Red Roses Gift your teacher with a happy Teachers' day with a delicate, sweet scented bouquet of red roses which can fill the room with natural, vibrant beauty. The warm, rich, red rose colours allow you to embrace the new spring season that is now upon us. Roses will not only bless your teacher's home with beauty, but also complete it with a refreshing, enchanting rose fragrance. 2. Pink Lillies And Cerise Blooms With its distinct pink lilies and cerise blooms, pink lilies and cerise can certainly be seen as one of the best flowers to give your favourite teachers for this season, particularly, for its diversity of colours, and is especially perfect for your art teacher, with its sumptuous bright pink lilies, cherry roses and cerise roses. 3. Sunflowers These succulent summer sunflowers and yellow blooms are reminiscent of a warm summer morning, perfect as a spring or summer gift for your favourite teacher. Sunflowers boast rich, pulsating yellow colours that are certain to brighten up that teacher’s day this spring, and they can be ordered with a snack hamper. Make your favourite teacher smile with a gorgeous daisy potted flower. These cheerful daisy blooms will take pride of place in your teacher’s home or work environment, creating a gift that will last for a long time. With its timeless elegance, Lilies and ruscus make for an impressive gift for a sophisticated and kind teacher for this Teachers’ Day. Spoil your teacher and send them this arrangement to celebrate this honourable day! If your teacher prefers delectable concoctions over flower arrangements, then this is a perfect floral gift with a twist - they can indulge and satiate their taste buds with chocolate flower arrangements. Your favourite teacher can enjoy chocolate and milky flavours, all shaped like their favourite flowers, which is a rather magnificent way to celebrate Teachers' day. 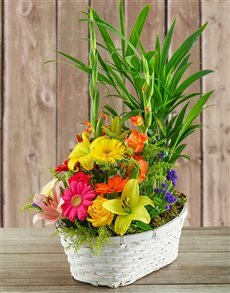 Order your teacher one of these flower arrangements and make their Teachers' Day a blissful day of joy and celebration, and let them know you appreciate them. 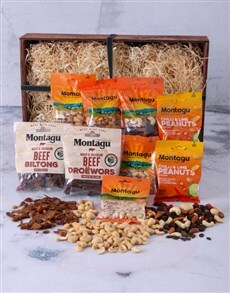 NetFlorist offers nationwide delivery on all of these gifts, and other floral arrangements.